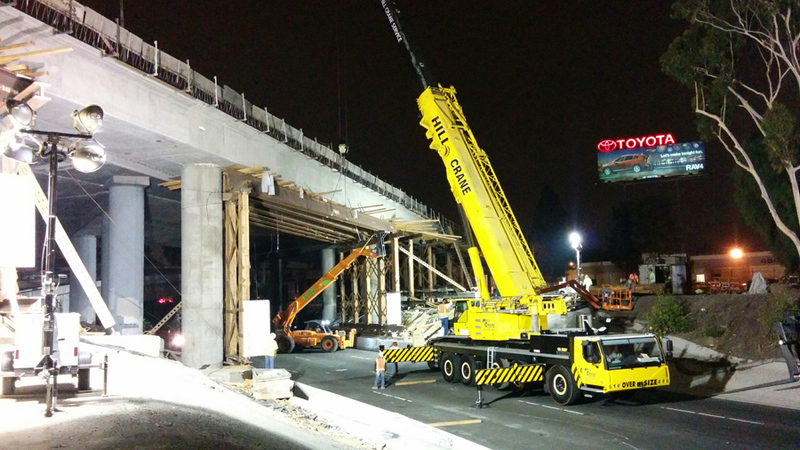 This project is a Joint Venture between Myers and Sons Construction and Shimmick Construction. 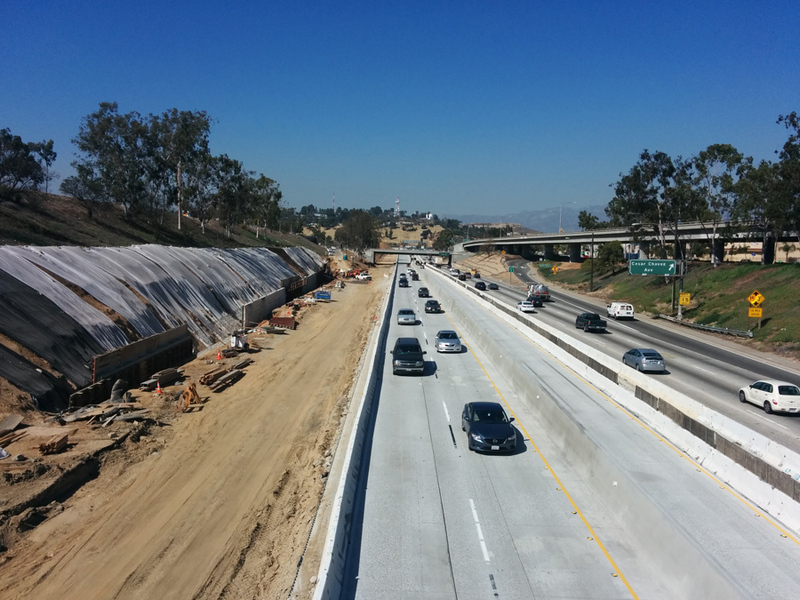 Once this three year project is complete the 710 Freeway from Imperial Highway to Interstate 10 will be completely rehabilitated and widened in some sections. The 710 Freeway is the direct connection from both the Los Angeles and Long Beach Port to the rest of the United States. The traffic from these ports creates congestion on this stretch of the freeway and the heavy transportation vehicles make maintaining the roads challenging. 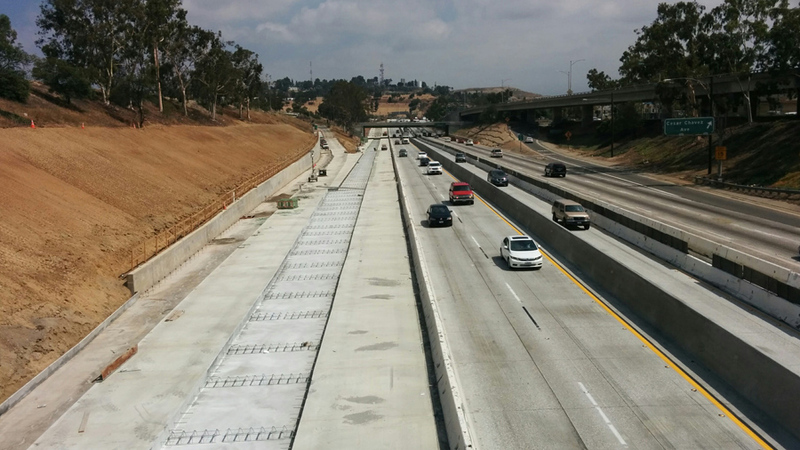 To meet this challenge Caltrans decided to design the project using precast, posttensioned concrete panels instead of traditional concrete paving. When complete, this will be the largest precast panel project in the country with over four thousand three hundred panels placed. 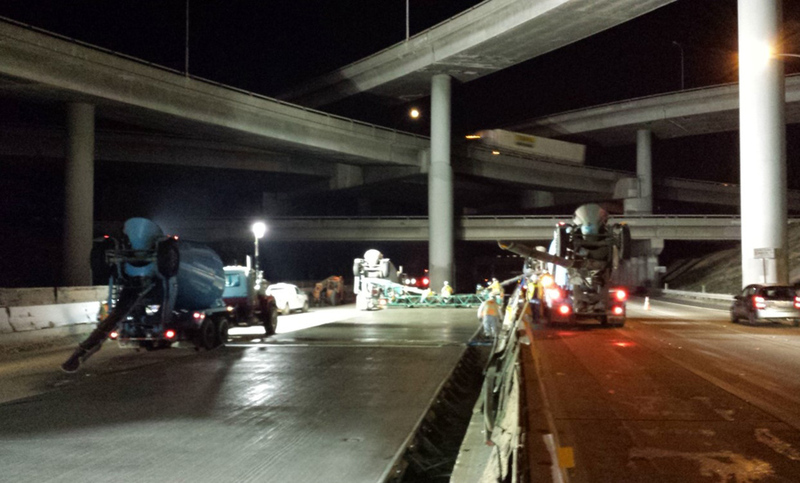 Outside of the panels this project has seven bridge replacements or widenings, fourteen retaining walls, polyester overlays, 51,000 cubic yards of concrete paving, 53,600 cubic yards of rapid strength concrete pavement, and 31,000 lineal feet of concrete barrier.